Carriage Gate - Sonnenfeld + Trocchia Architects, P. A.
Sonnenfeld + Trocchia teamed up with respected new home builder Kalian Companies to design Carriage Gate, a collection of 31 two- and three-bedroom luxury townhomes in the prestigious and historic town of Little Silver. 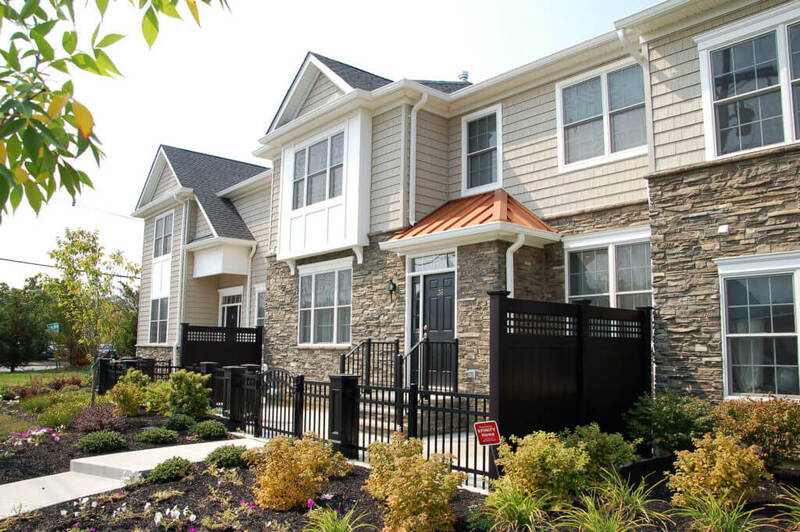 Set in a premier location just a short walk to the train station that offers easy access to New York City’s Penn Station, Carriage Gate was built in response to high demand for convenient, luxurious homes. 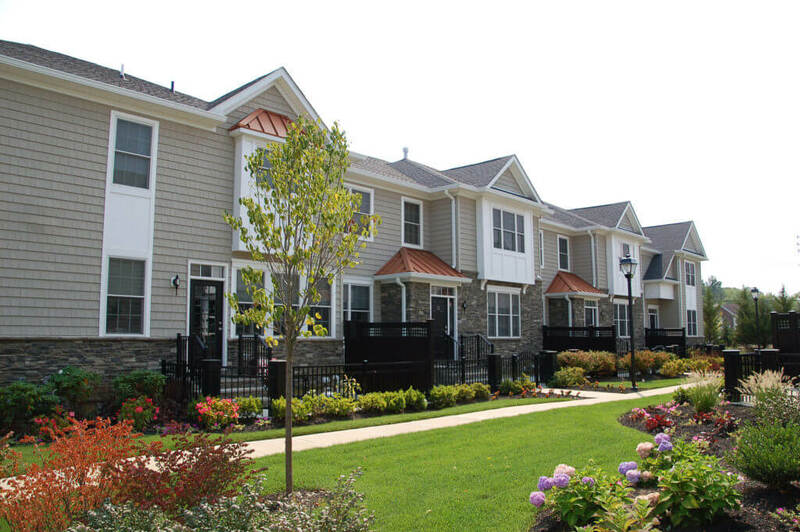 It was the first transit community of its kind to be built in Little Silver in nearly 25 years. 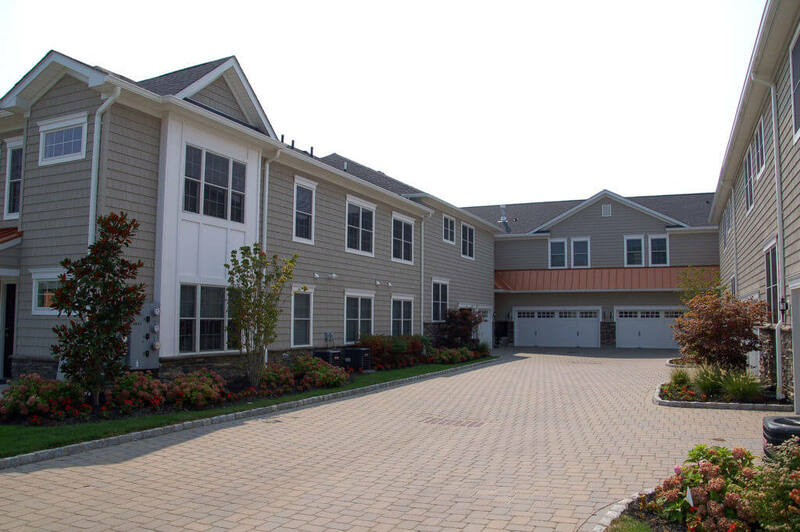 The builder requested a distinctive, elegant feel for these townhomes, and so we used charming shore colonial style architecture for the exterior design, including cedar shake and stone siding. 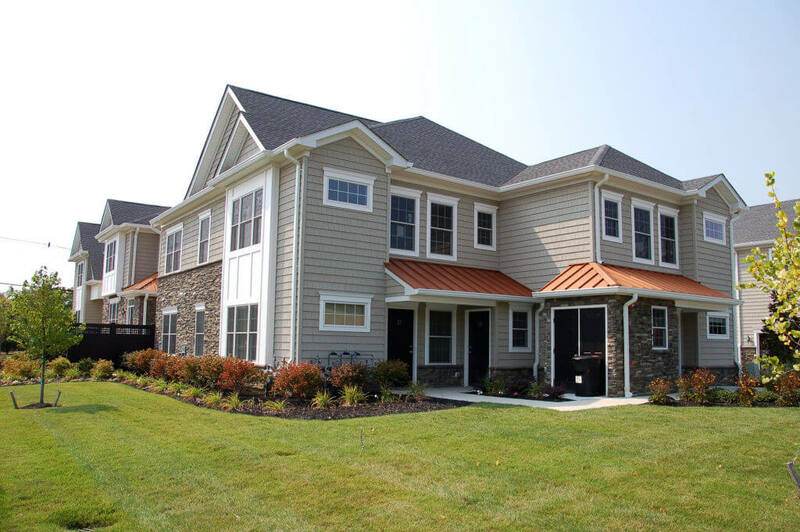 The homes range from 2,378 to 2,960 square feet, plus full basements and two-car garages. Unique touches such as private outdoor living spaces, paver courtyard driveways, Belgian block curbing, sidewalks with decorative lighting, and an impressive stone pillar entry contribute to the deluxe feel of this high-end development.